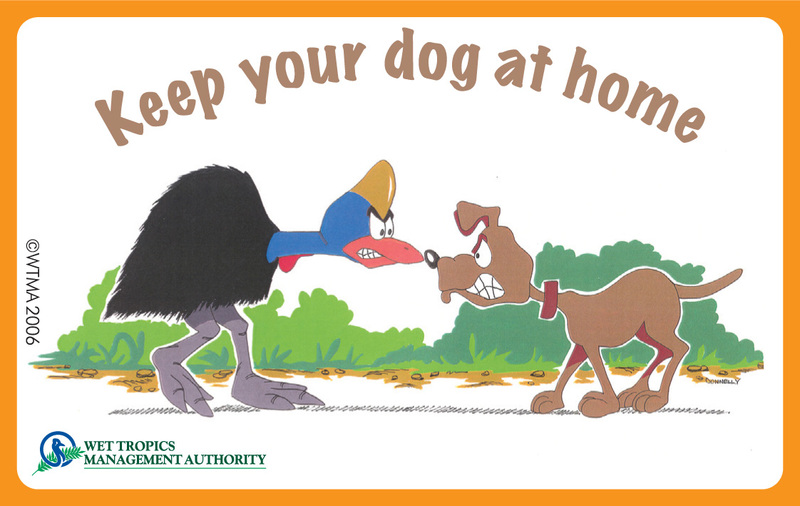 Dogs are a major cause of cassowary deaths, particularly in areas near residential development where dogs can attack and kill cassowaries when they wander into suburban areas seeking food or water. Adult birds are usually able to defend themselves against a single dog, but chicks and sub-adults are small enough to be vulnerable. Packs of dogs also kill adult birds, pursuing them until they are exhausted then attacking them. Dogs killed the last known cassowary living on Mt Whitfield in Cairns. Dogs trained to hunt pigs have been known to attack and kill cassowaries, and such deaths often go unreported. 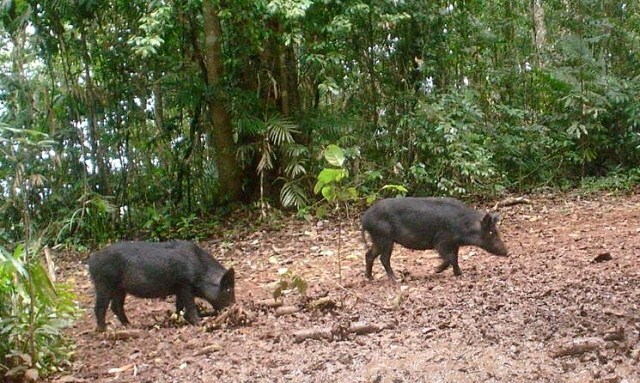 It is against the law to take a domestic animal into a national park, but “pig-dogs” sometimes get loose in the rainforest and have also been observed harassing chicks while being walked off-leash near residential areas. Pigs (an introduced pest in Australia) cause disturbance to the rainforest, contaminate water sources, and compete with cassowaries for food. There are also unsubstantiated reports of pigs eating cassowary eggs and destroying nests. In 2010, a cassowary died after being caught in a pig trap. This can be avoided by modifying the design of traps. If you have traps on your property in the Wet Tropics, please contact the Pests & Weeds manager at Terrain NRM for the latest advice on trap design and protocols to minimise the risk to cassowaries. 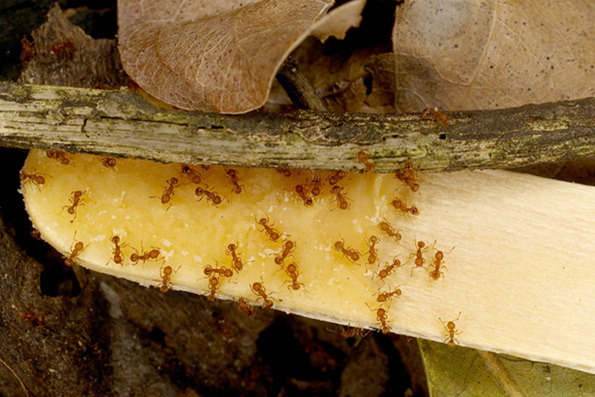 Two species of tramp ants, electric ants Wasmannia auropunctata, and yellow crazy ants Anoplolepis gracilipes, have recently been identified in North Queensland, including an electric ant outbreak in Bingil Bay near Mission Beach. Tramp ants are among the world’s worst most dangerous invasive species, attacking, blinding, and killing vertebrates and invertebrates, and electric ants have contributed to the decline of many native species in places like Hawaii, the Galapagos and New Caledonia. On Australia’s Christmas Island they have lead to severe disruption of ecosystem services. There are concerns that the ground-nesting habits of cassowaries may make them particularly vulnerable to attacks by electric ants. you find any suspect ants, report them to Biosecurity Queensland on 13 25 23 or collect a sample and send it to them for identification.